Turkey Sausage Breakfast - Ed Hipp Foods, Inc.
Place turkey sausage in a large, deep skillet. Cook over medium-high heat until evenly brown. Drain, crumble and set aside. 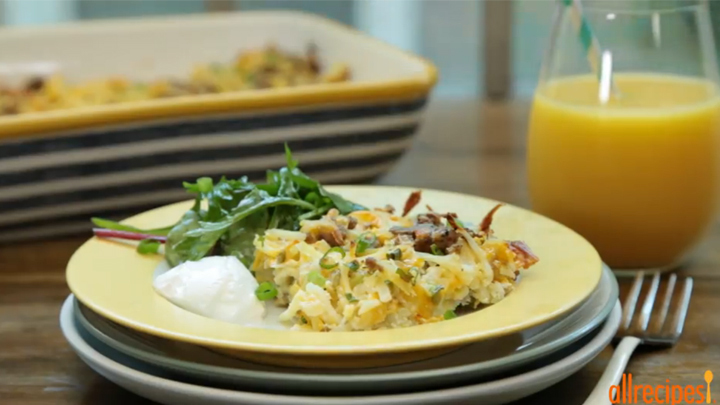 In a large bowl, stir together eggs, green onions, hash browns, milk, cheddar cheese and cooked sausage. Pour mixture into a 9×13 inch baking pan. Source of recipe and photo: Allrecipes.com. Recipe by Danalo.